The entire Orange Cluster “traveled” to Peru this week, going through a customs simulation that mimicked what happens when traveling abroad. 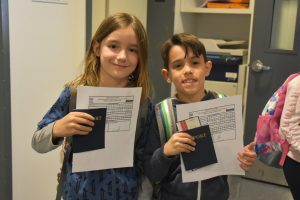 First, they spoke to a “customs agent” about whether they were in Peru for study or vacation before telling the agent how long they planned to stay in the country. 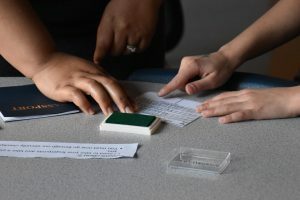 Next, they got a stamp in their passports and fingerprinted for a visa document. Lastly, their bags were checked for any contraband materials before they were welcomed to Peru and told to enjoy their stay in the country.